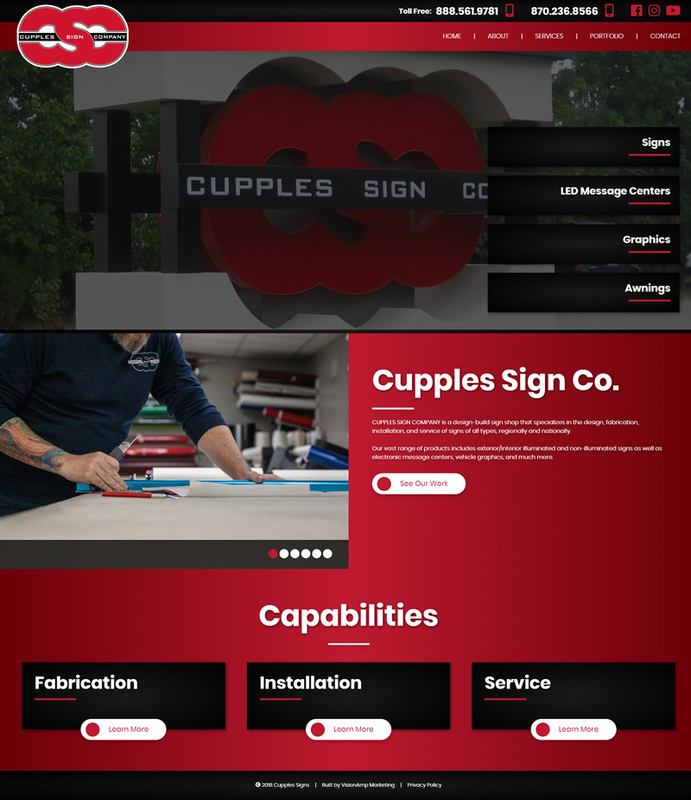 The new Cupples Sign Company website is packed with easy-to-find information about their services and capabilities. The mobile-friendly and responsive website also makes browsing simple and straightforward with clean top navigation and call-to-action buttons and links throughout the website. The new site also has a portfolio section and updated images to show potential customers what the company has to offer. The Cupples Sign Company opened its doors in 1994 and is located in Paragould, Arkansas. Their goal is to provide quality, custom signage, awnings, logo design, vehicle graphics, computerized vinyl lettering, digital printing, or anything else from the wide range of services they offer.